The featured image of this post might evoke similar feelings in a lot of people. This is not just another Chinese smartphone which has its design borrowed from Apple. 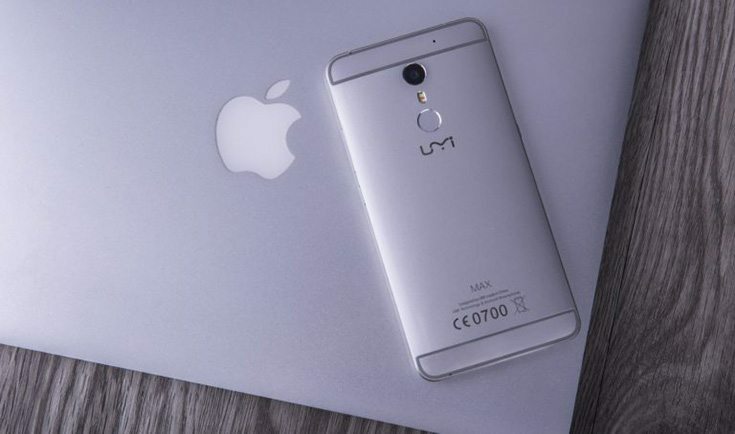 The UMI Max from UMI was announced a few days back and today the company has revealed why the phone is named so. It has features that are never before seen in this price bracket and right now, there is a giveaway in this link here, where the phone is selling for $40 less. According to the company, there are 4 reasons why the UMI Max is called so. First, Max refers to the large screen size of the phone while keeping the footprint low. This is because of its ergonomic design inspired from the Hulk and Popeye. As powerful as the Hulk and as sharp and subtle as Popeye. The second reason is referring to maximum beauty. The design is simple yet very pleasing and has sleek edges and a clutter-free design. The next reason refers to maximum power. The UMI Max comes with the Helio P10 chipset along with 3 gigs of RAM. The last reason is referring to the maximum battery. The phone packs in a large 4,000mAh battery even though it maintains a slim design. Other features of this phone include support for HiFi+, USB Type C, 7-color breathing light button and expandable storage up to a whopping 256GB. Even with all of this, the UMI Max comes at an affordable price tag of just $179.99. If you’re planning to buy the phone right away, check out the link here. The phone is currently selling for $40 less and only limited stocks are available. The site will definitely impress you with its design and the way they’ve detailed the specifications. Check it out now! Next article Next post: Samsung Galaxy S6 edge+ selling for $140 less at $359.99, 2 days to go!